Someone must have leaked the opening scene from Resident Evil: Afterlife to Nagoshi. I dunno about this, but I’m willing to try it. 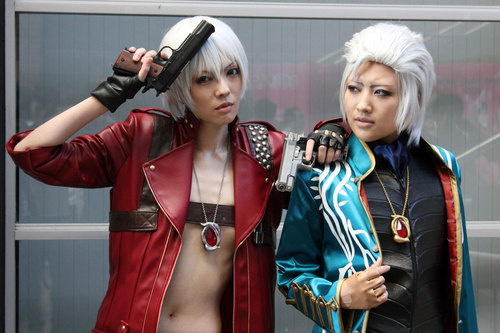 Love the androgynous girls dressing up as the androgynous guys at Tokyo Game Show. Saitama female rappers! It gets good until the poppy theme song comes in. Bleh. Two sheets to the wind! Literally. Work is getting better, and a little more manageable. 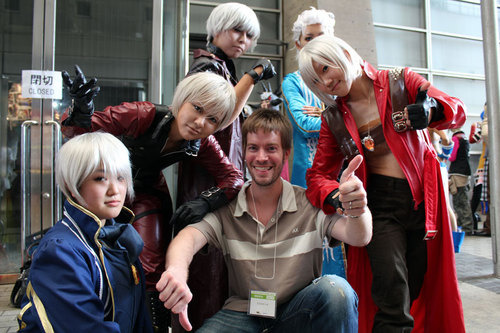 But I don’t want to talk about work anymore because as cool as it is to work in video games, it’s still a job, it’s stressful, and it doesn’t pay very well. Many of my friends in the Bay Area are probably earning significantly more than I am: they’ve got houses, nice cars, the latest gadgets, and they seem to go on vacation every other month! But I don’t care because I can say I make video games! But let’s not talk about work. Let’s talk about SAILING! So I’ve taken a couple lesson already, and they really just let you do this on your own. The first day, we did a lot of learning on land, like knots and wind clocks, transferring the boats from land to water, rigging our boats, and then went straight into tacking and docking, which is basically turning the boat with the tiller (steer), avoiding the boom that holds the main sail from knocking into you as it switches sides, and righting the boat back in the forward direction. The first day was definitely the fun day. The water was calm, wind was light, and the sky was clear, and the weather was warm. Also, I learned that sailing takes a lot more energy than I thought! Getting the boat into the water and rigging them is a lot of work, for one, and then trying to figure out whether to pull the main sheet in to speed up and letting out to slow down while you’re tacking… I went with just coffee on the first day, and ended up feeling woozy by the end of the class. The first day was calm and sunny, so the boats were easy to control. The next day, not so much! The water was much more choppier, and this time, we had an extra sail, the jib, which meant we’d be going faster, and there was another sail to control. The S.O. and I almost tipped over unintentionally twice as we weren’t used to such a strong wind while tacking, and having to remember which rope did what to which sail. Of course, the second day was also the day we had to learn capsize recovery, right in the middle of the bay. I really had to face some fears here, given that I hate vastness of the ocean, not knowing how deep it goes, and that there could be creatures, like a huge whale, or the sea lions that we saw that morning, swimming right below my feet. Having a sea lion brush by sounds cool and all, but these guys are mean, and they BITE (PROOF!)! Anyway, capsize recovery requires one having to climb on the top side of a capsized boat while the other keeps the boat balanced by hanging on to the centerboard on the bottomside. Climber gets themselves on the hull, then gets on the centerboard and pulls on the jib sheet (rope) until the boat rights itself, while the other person gets scooped into the boat as this happens. This is all very easy when you’re watching someone do it near land, or in a video of a demo done in a lake, but again, the bay water was choppy!! It was quite tiring. And gross because bay water is nastay. They say that if you can sail in the San Francisco Bay, you can sail anywhere in the world!